Santa’s fitness is the subject of seemingly endless public speculation and passive-aggressive “concern.” This year, the conversation has shifted away from fat shaming him and moved on to occupational health, wellness, and fitness prescriptions for him. Santa has a hard job. Hustling around the world with all those packages, being subjected to the stress of an unforgiving deadline, and keeping his flying reindeer in line undoubtedly takes quite a physical toll. In the Journal of Occupational Medicine and Toxicology, Sebastian Straube and Xiangning Fan analyze the health and safety issues that confront Santa Claus. They propose a more evidence-based approach and, unsurprisingly, a program of further research to protect the health and safety of his elves and reindeer. 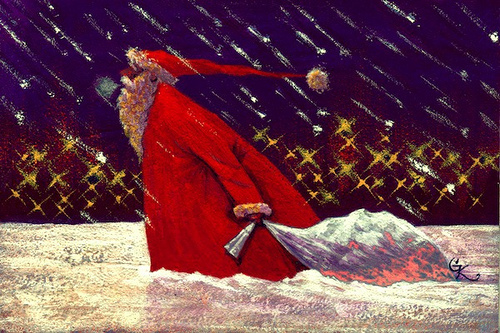 Lars Donath and colleagues provide an analysis of Santa’s risk for falls in Gait and Posture. Fortunately, they offer solutions in the form of cognitive and physical training. Marlynn Wei, author of the Harvard Medical School Guide to Yoga, is much more direct. 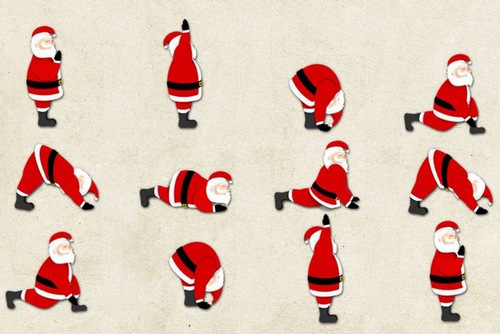 She simply prescribes yoga for Santa Claus. Today, we offer no unsolicited advice, just our best wishes for an excellent holiday and an outstanding year to come. Click here for the study by Straube and Fan, here for the study by Donath et al, and here for more from Wei.